If you are looking for a bouncer or moonwalk then you have come to the right place! 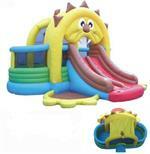 To get more information on the inflatable bouncer of your choice, simply click on the product below. 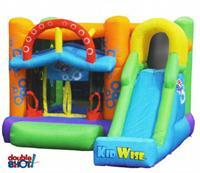 These Inflatable Bouncers are for residential use ONLY! If they are used for commercial use all warranties will be voided! 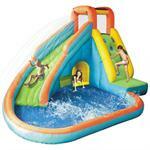 Click here to view our inflatable water slides . Why rent a bounce house when you can buy one? A bounce house pays for itself in just a few uses with all the money you will save vs. renting and it will be the perfect addition to any party, charity event or get together with many size options to choose from. Whether the bounce house is wanted for indoor or out, bigger kids or small, you are sure to find a bounce house that is right for you. 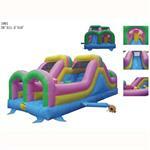 Best of all, all of our bounce houses have a different theme sure to excite and fascinate for every party theme.